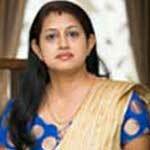 Dr Sindhu Bhairavi is a Consultant in Reproductive Medicine, consultant and Assistant professor in Obstetrics and Gynecology, which are also her areas of expertise. 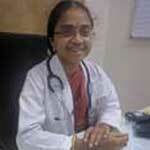 She has a special interest in High-risk pregnancy and Reproductive Medicine. 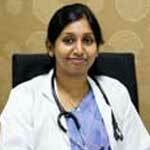 She has been working in Srishti hospital as consultant in Reproductive medicine for 4 yrs from April 2015 .She had worked in Pondicherry institute of medical management as Assistant professor in Department of Obstetrics and Gynecology for one and a half years(Sep 2013-April 2015) and also has experience in teaching . 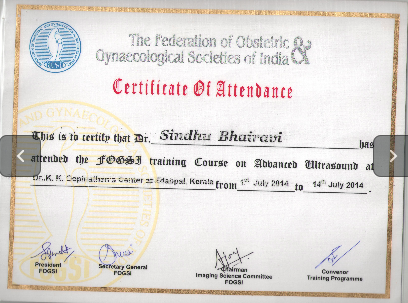 She did her MBBS from Pondicherry Institute of Medical Sciences, Pondicherry University from 2003-2007.She completed her Post-Graduation in Obstetrics and Gynecology from St. Isabel hospital, Chennai and DNB in Obstetrics and Gynecology from National Board of Examinations,December2013, New Delhi, India. 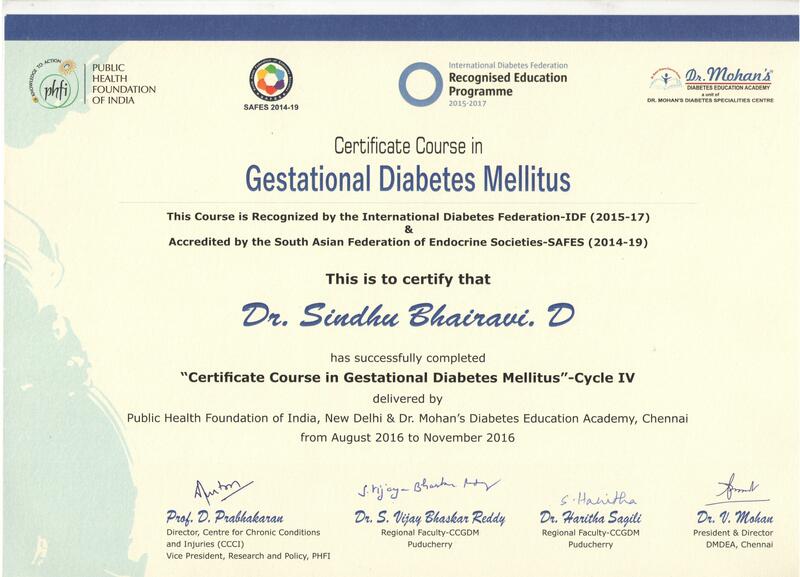 She have done Certificate course in Gestational Diabetes Mellitus by Public Health Foundation of India, New Delhi and Dr. Mohan’s Diabetes Education Academy, Chennai from August 2016 to November 2016. 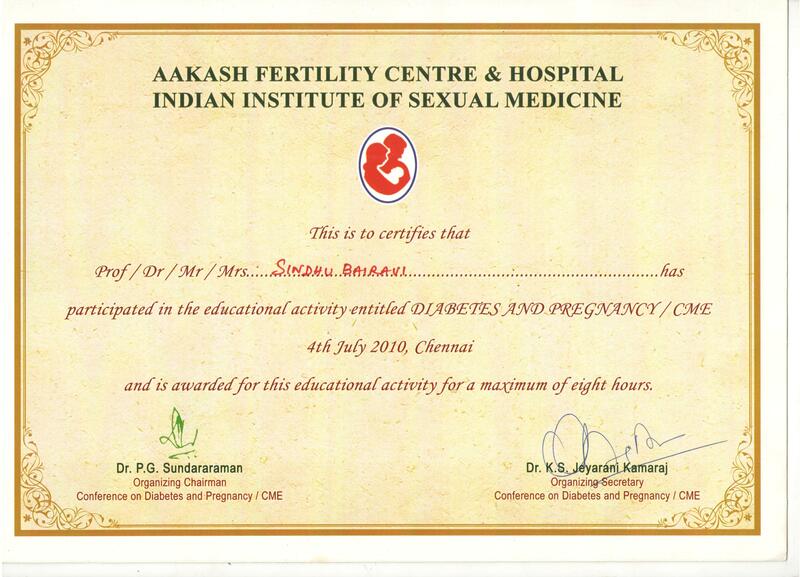 It is recognised by the International Diabetes Federation - IDF(2015-17) and accredited by the South Asian Federation of Endocrine Societies - SAFES(2014 - 19). 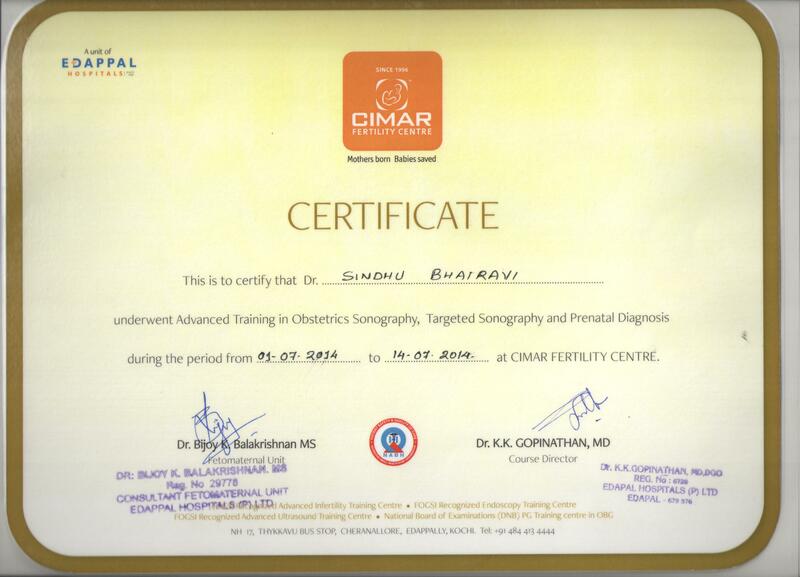 Dr. Sindhu have also completed FOGSI training course on Advanced Ultrasound at CIMAR, Edappal, Kerala. 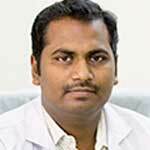 Attended the 34th Annual Meeting of ESHRE held in Barcelona, Spain, from 1 to 4 July 2018. 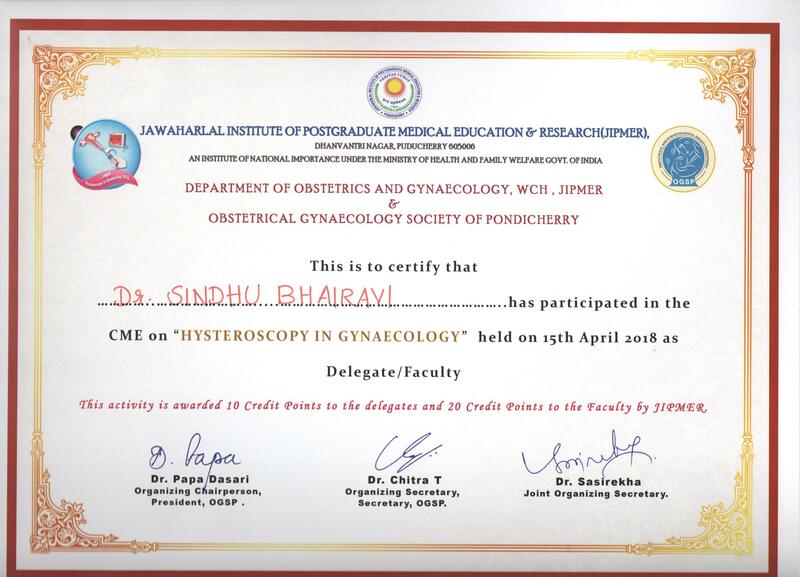 Attended Workshop and CME on Hysteroscopy in Gynaecology held on 14th-15th April 2018. 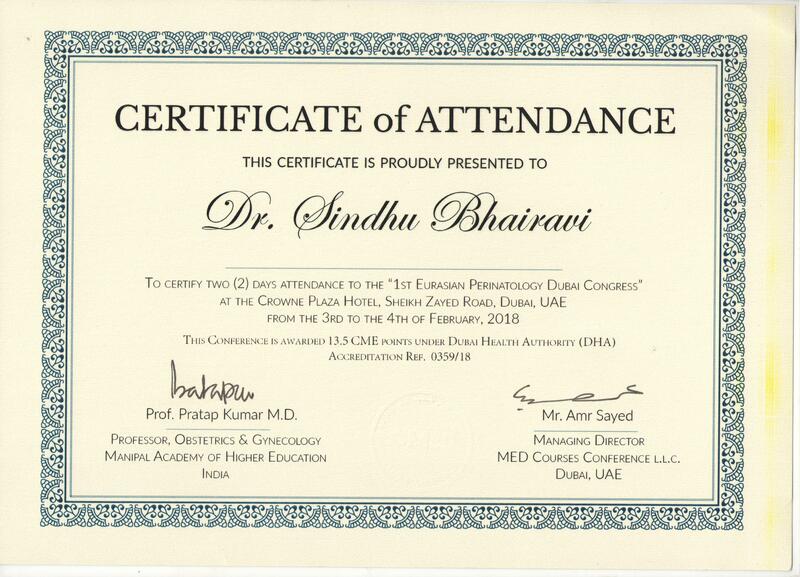 Attended First Eurasian conference on perinatology in Dubai,UAE, held on 03-04th February 2018. Attended 7th Congress of the Asia Pacific Initiative on Reproduction (ASPIRE 2017) in Kuala Lumpur, Malaysia, on 30th March – 2nd April 2017. 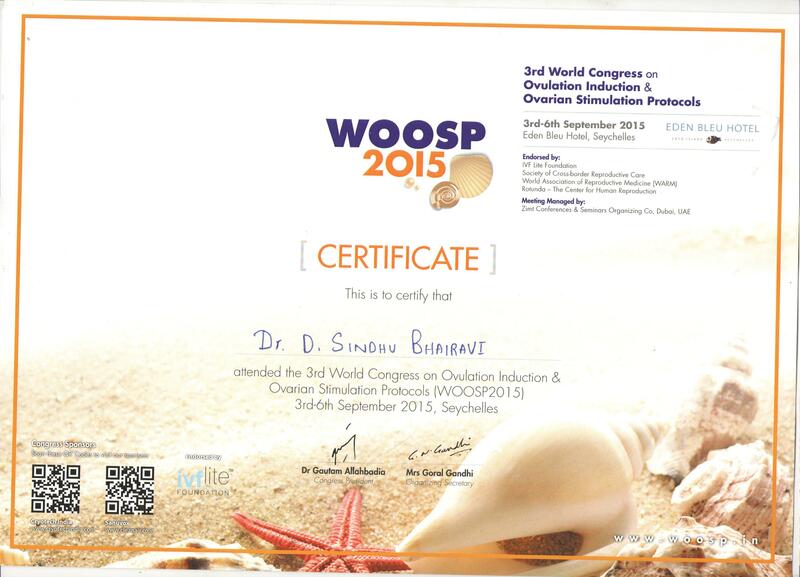 Attended 3rd World Congress on Ovulation Induction and Ovarian Stimulation Protocols (WOOSP2015) on September 2015 in Seychelles. 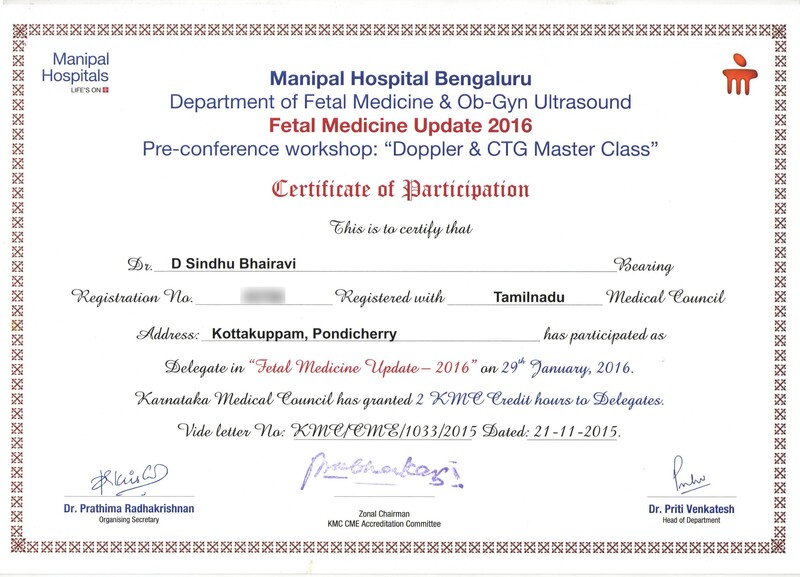 Participated in FETAL MEDICINE UPDATE 2016 in Manipal hospital, Bengaluru in pre-congress workshop on Doppler and CTG Master Class and Conference on Fetal Growth and Doppler. 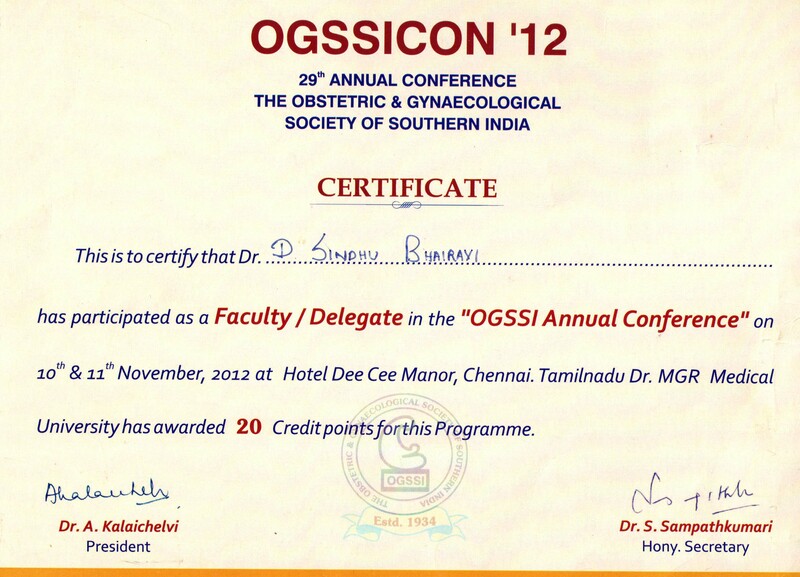 Attended OGSSICON’12 29th Annual Conference, The Obstetric and Gynaecological society of Southern India. 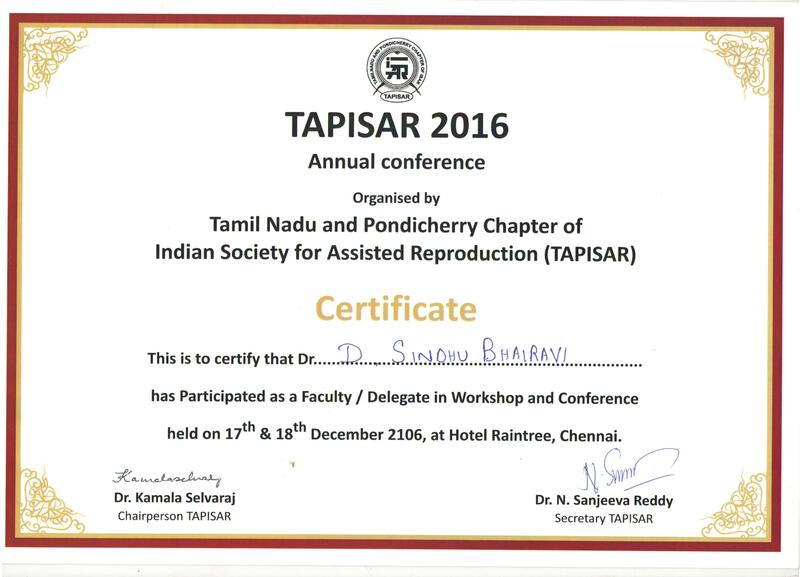 Participated in Workshop and Annual Conference held by TAPISAR 2016. 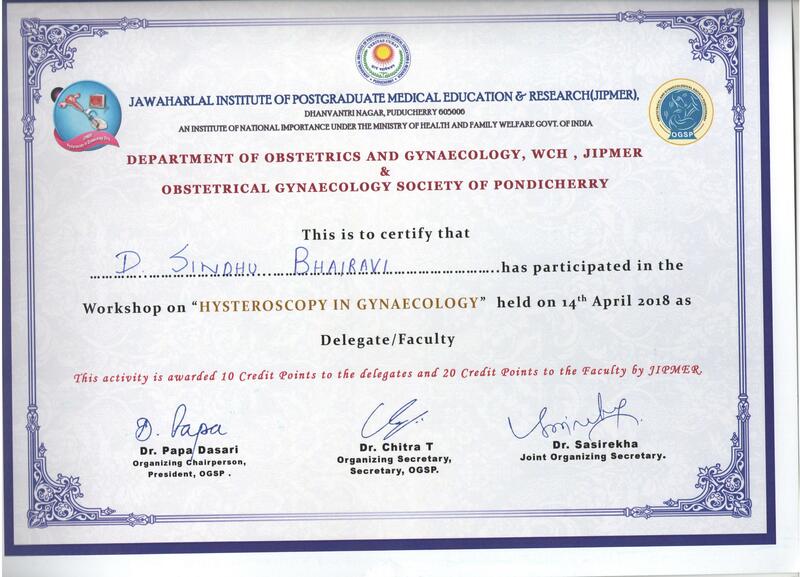 Attended workshop on Obstetric Intensive Care in JIPMER held by FOGSI. 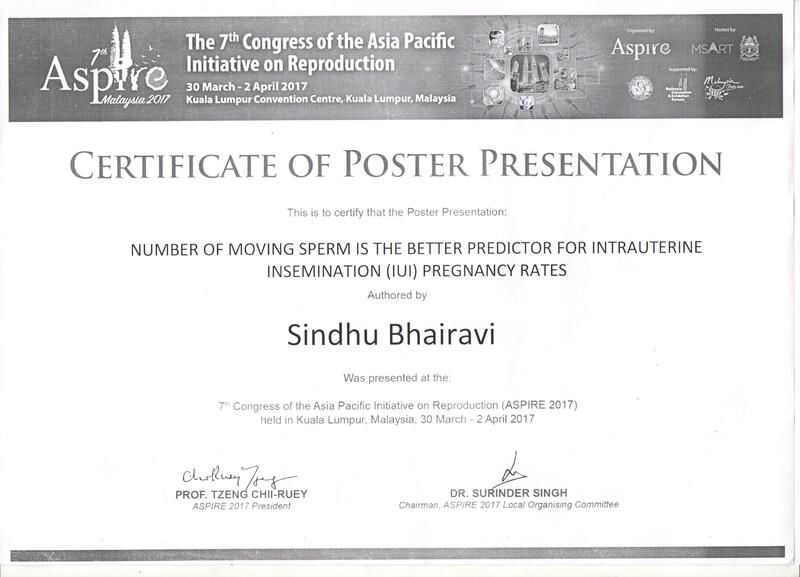 Poster on “Number of moving sperm is the better predictor for intrauterine insemination (iui) pregnancy rates” - presented in the 7th Congress of the Asia Pacific Initiative on Reproduction (ASPIRE 2017) in Kuala Lumpur, Malaysia. 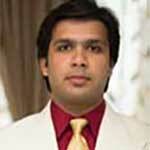 Paper on “Post Paracentesis vulvar edema in ovarian hyperstimulation syndrome”. 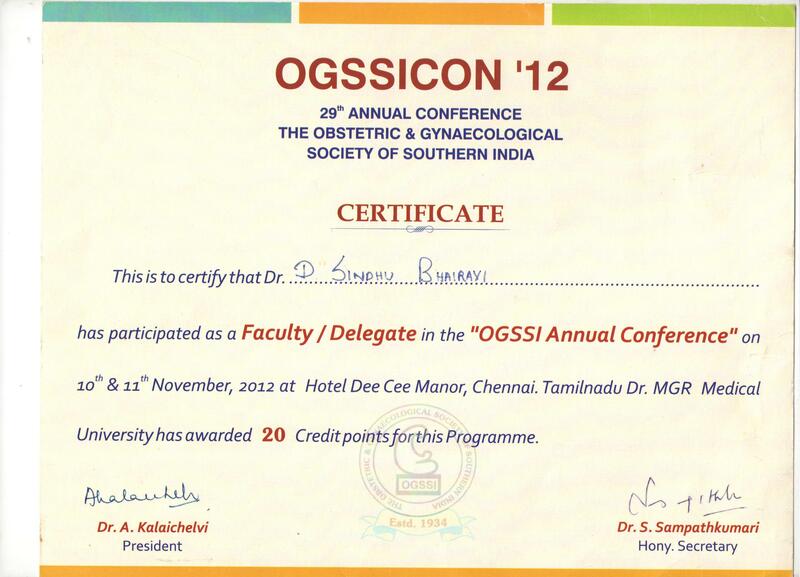 Int J Reprod Contracept Obstet Gynecol 2016;5:4064-6. 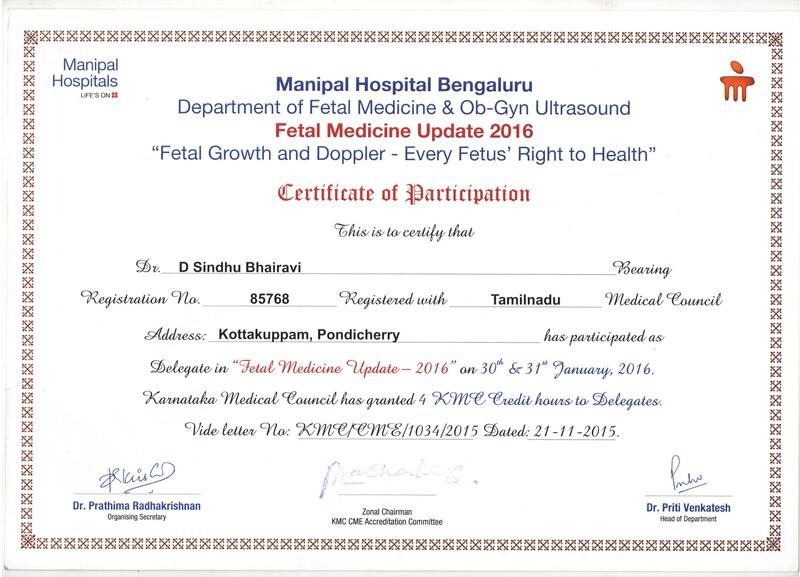 Work on "Effect of Meconium stained amniotic fluid and its Perinatal outcome " - Presented to National Board of Examinations, New Delhi in Dec 2012 as a thesis towards award of post graduate degree (DNB).